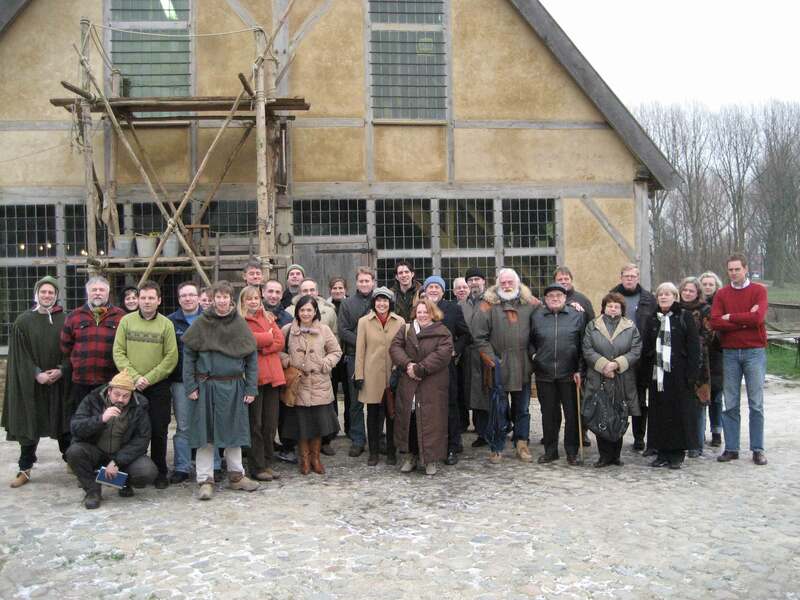 In the days January 25th - 29th, 2007, “Eindhoven” hosted the first meeting of all partners of liveARCH. An important goal to liveARCH was to improve the experience of visitors to archaeological open-air museums across Europe through a better cooperation and with this, to enlarge interest in heritage. Living History plays a central role in these. LiveARCH linked the museums in question better and pursue quality and sustainability. This was reached through networking, communication (including a website and exhibition), workshops, seminars, master classes and staff exchanges. The goals for the Eindhoven meeting were to start building a team out of 8 different museums from all corners of Europe. The people present measured their ambitions to one another and made appointments about all different themes which play a role when running an archaeological open-air museum in general, and a joint project in particular. The meeting, with 30 participants from 11 countries, was opened by Mrs Mittendorf, alderwoman for a.o. Culture in the municipality of Eindhoven. Key Note speaker was W. van der Weiden, Chairman of the European Museum Forum.